I took a hex off the rack and pushed it far into the crack. The rime was thick, and the crack’s edges blurry. The hex mushed into the rime and stuck. I beat on it with my ice axe just to be sure, then gave it a swift tug. It ripped straight out. 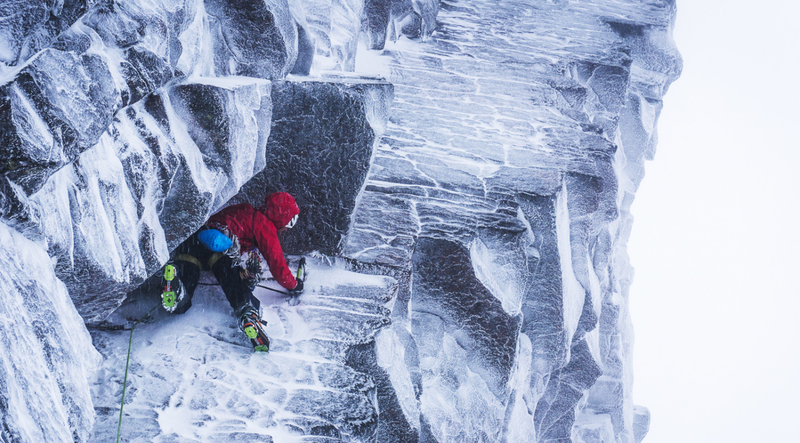 Technical winter climbing in Scotland began in the mid-twentieth century, and remarkably, climbs first done nearly 70 years ago still command respect from modern climbers. Many winter climbing tools and techniques originated here. 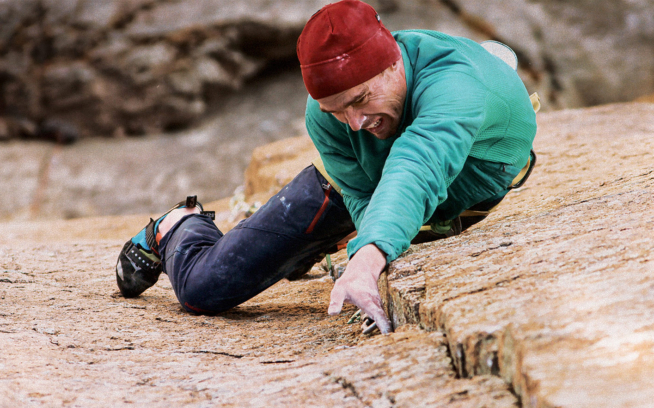 With such a long, rich history, Scotland has become the mecca of traditional mixed climbing, and Mikey Schaefer, Steve House and I were making our pilgrimage. But it’s not simply the history that makes Scotland special; it’s the combination of horrible weather and a strong traditional climbing ethic that make Scottish winter climbing unique in the world. The weather can be brutal. 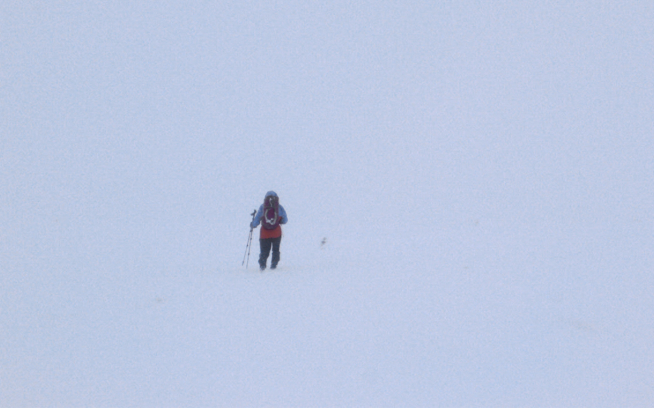 It’s common in the winter to step outside into hurricane-force winds, horizontal downpour and zero visibility. What might be a benign approach through rolling hills on a sunny day can suddenly become extreme. People tromp off to go “hill walking” through gently sloping meadows with full alpine hard shells, ice axe, crampons and goggles. The three of us combined didn’t have a lot of hill-walking skills—gusts routinely knocked us from our feet during approaches, or we’d lose our way in a snow blender of nothingness. Ben Nevis seemed like one of the few places in the world where a map and compass could save your life in a flat meadow. On our first day, I strongly considered roping up for the approach, just to be sure I didn’t lose Mikey and the GPS app on his phone. We did finally find the crag, but the fun wasn’t over. 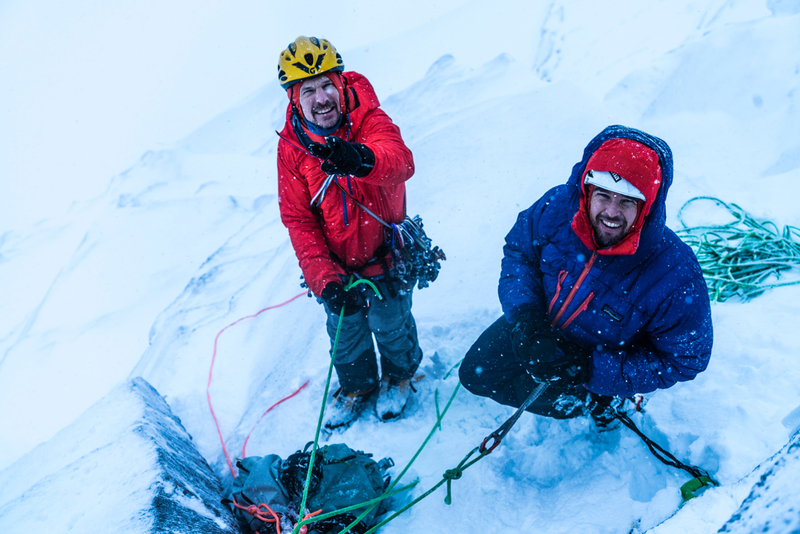 There are two “simple” rules in Scottish winter climbing: From a distance, a cliff must appear white and wintry to be considered “in nick” and therefore fair game, and bolts and fixed rappel anchors are strictly banned. Of course, what’s considered “in nick” spurs endless debate, and like most climbing ethics, the rules of play are as grey as the Scottish winter. When frost and verglas grow thick, conditions are considered to be at their finest, yet protection becomes difficult if not impossible, and climbing slows to a crawl. 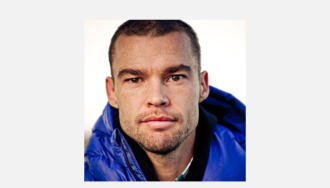 If you climb with just a whisper of snow on the cliff, things are too easy and you might incite a brawl at the local pub or, worse, an internet “flamefest” a mile long. After our blustery approach, and agreeing that “Nick” was indeed blanketing the cliff in a heavy coating of white, we arrived at the base of The Secret. High in Number Three Gully (a steep snow couloir first climbed in 1895! 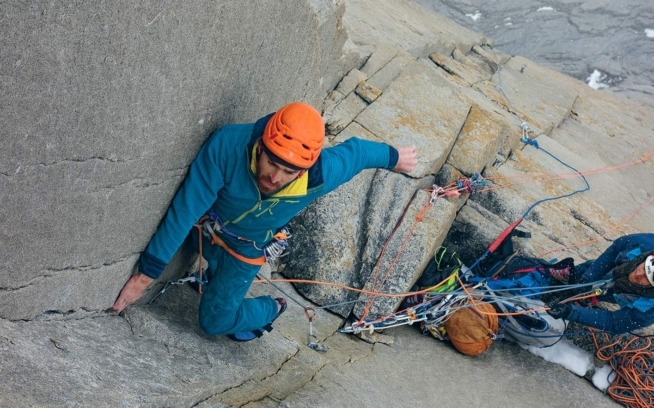 ), an intimidating, vertical crack splits a rime-plastered 60-meter buttress. Due to its prominent location, the climb had never really been a secret at all, but the first ascent wasn’t made until 2007, owing to its ominous appearance and obvious difficulty. Although most people climb it in two pitches, linking the route into one monster pitch seemed simple enough. At least from the base it did. Now, looking at the hex in my hand, then down at the four left on the rack, and then up at the wide-fist crack above, I realized I may have misjudged the situation. The rime was epically thick on the wall. Nick was no longer just a guy we’d been laughing about; he was a full-fledged Scottish warrior with a war cry that was making me cower. I decided to slow down … way down. For an hour (or was it two? ), I delicately clawed upward, stabbing at Nick with my ice tools as he took swing after swing at me with his giant white spear. Four inches of rime covered everything, and finding the next hold was a precarious game of scratch and sniff. By the time I placed my last hex, I think I’d finally learned the fine art of Scottish gear placement: Put it in a constriction and beat the hell out of it. When I reached the broad plateau atop the route at last, I felt I’d climbed 600 meters, not 60. The next morning, the walls high on the Ben sparkled white in the crystal blue sky, and there wasn’t a breath of wind. We might have raced for the crags, but we’d learned: No point in climbing when Nick was in such a good mood. This story first appeared in the 2016 Patagonia Snow Catalog.